Bitcoin is slowly but surely working its way into the mainstream. Less common are news stories about spikes in the cryptocurrency’s value and instead we’re seeing the likes of PayPal and other major companies embracing it as a payment option. eGifter is a marketplace for buying gift cards. 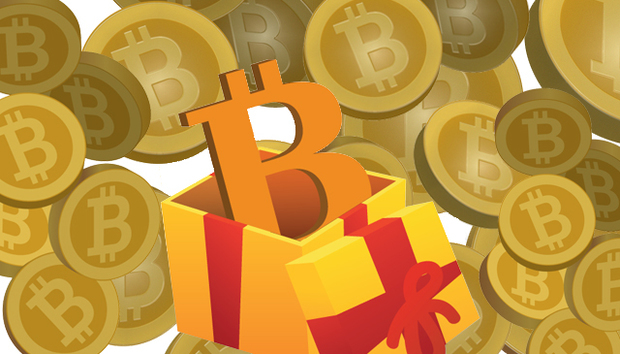 Though digital gift and greeting cards are commonplace today, the company has set itself apart and followed the likes of Dell and Virgin Galactic in accepting Bitcoin payments from its customers. We talk with eGifter CEO Tyler Roye about why he decided to embrace cryptocurrencies, how it’s changed his company, and what’s holding back wider adoption. What’s the history of the company and where does Bitcoin come in the equation? We launched our mobile apps in 2012 with a vision to add innovative frictionless mobile payment options that improved the user experience. We partnered with Coinbase in August 2013 and saw an immediate spike in activity by making so many popular brand’s eGift cards available for purchase with Bitcoin. We accept payment via credit card, PayPal, or Bitcoin, Litecoin or Dogecoin and the Bitcoin community has been very supportive of our company. What sort of impact has adopting Bitcoins had on your company? Our loyalty offer, whereby we give three points per dollar for all crypto purchases, has been received very nicely. I think that the program reinforced for us the value of a strong loyalty program, and the feedback has been quite positive. What’s your view on how PayPal’s partnership with BitPay, Coinbase and GoCoin will affect the Bitcoin market? The PayPal move will make it easier for merchants to add a Bitcoin payment option. This will help accelerate adoption by consumers. Trendy shops in London’s East End are one thing, but do Bitcoins really have a place in mainstream retailers? What are the biggest barriers to adoption? Part of Bitcoin’s future does rest in when and how major brands decide to add Bitcoin as a payment option, as the positive mainstream attention will reach both consumers and retailers. Mobile wallet adoption (such as Apple Passbook and Google Wallet), will positon consumers to add alternative digital payment options such as Bitcoin. Emerging payment platforms such as Square and Stripe have both added Bitcoin payment options, and this will help by getting even more merchants on board. If we can get a little more regulatory certainty, a bit less volatility, and continue efforts to make it easier to acquire and spend Bitcoin, [this currency] will eventually make it to the mainstream. What would you say to a sceptic to convince them Bitcoins are a good idea, and what advice would you give retailers looking to make Bitcoin a part of their strategy? The sceptics will come around when more major brands add Bitcoin as a payment option, the way Dell has recently done. Pointing out the flaws in the credit card system, such as the potential for fraud and high costs also help make the argument that new payment systems are needed. For retailers, we recommend they work with a Bitcoin processor to instantly transact Bitcoins into their favourite currency after a sale is complete. eGifter works with Coinbase to accept Bitcoin and GoCoin to accept Altcoins, and both convert cryptocoins to US dollars immediately, so that neither we nor our brand partners ever touch the digital currency. This also reduces risk exposure to currency fluctuations. Should retailers be looking at Bitcoin ATMs or Bitcoin cash registers? Once a retailers begins accepting Bitcoin and attracting the Bitcoin consumer, the installation of a Bitcoin ATM could be a way to attract more Bitcoin users into their establishment. Which is more challenging – educating customers or staff on Cryptocurrencies? Actually, neither. The entire payment landscape is changing, and our staff is living the changes as they happen. Customers are also increasingly aware of their options when it comes to payments. We are attracting Bitcoin-savvy consumers so there is typically no need for education. When consumers ask us how to get started with Bitcoin we do what we can to instruct them how to acquire Bitcoin. What’s your view on paying people’s wages in Bitcoins? Further adoption has to happen before most people would consider it as their primary source of income. As an employer, you would need to make sure you do your homework to ensure your Bitcoin wage plan is compliant. We consider ourselves members of the Bitcoin community, but are not yet ready to embrace it as part of our employee compensation. Which companies would you like to see start accepting or doing more to promote Bitcoins? It would be a huge boost to the Bitcoin community if a major grocery or gas chain began accepting Bitcoins. Grocers and their massive customer base are well positioned to bring cryptocurrencies such as Bitcoin into the mainstream. Whole Foods has taken a step in the right direction by making its digital gift card available for payment with cryptocurrencies through third parties like us. How do you use Bitcoins in a personal capacity? I use them the same way our customers do; I buy eGift cards from eGifter. As with most Bitcoin enthusiasts, I am always looking for new ways to spend my Bitcoins and will frequent almost any establishment that takes the plunge and begins accepting Bitcoin. Most of these questions have focused about Bitcoin because it’s the biggest and most well-known, but do other Altcoins have the same kind of potential in the long run? We accept Litecoin and Dogecoin, too. While we don’t see as much activity with these cryptocurrencies as we do with Bitcoin, we do see a nice steady rise in activity as the word continues to spread that we’re accepting them as payment. Each community is continually growing and definitely has potential.